We all know that Destiny 2 is coming this year. Last week, everyone got a glimpse of what appeared to be a promo poster for Destiny 2. Turns out these leaked photos were real after all. As a result, Bungie and Activision gave fans what they wanted; an official announcement. Destiny’s official Twitter tweeted out a logo for the upcoming sequel; the same logo used on the leaked poster. The image depicts the sequel’s new logo in front of what appears to be the aftermath of a conflict. The image itself gives off plenty of mystery, enough for fans to dissect and speculate. Is that the Traveler? Why is everything on fire? Where is the story going from here? Will we be traveling to new places? Or revisiting classic locations? In addition to the logo, no information or trailer has been released. 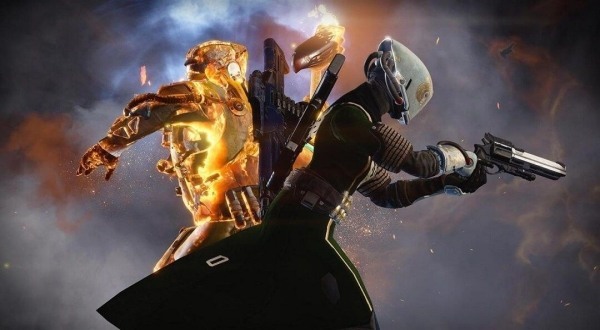 Bungie has discussed what will and will not progress into the sequel. Hopefully we won’t have to wait very long for some more information on Destiny 2. Though, Destiny 2 hasn’t been a secret to fans, it’s nice to see something official come from Bungie. In conclusion, let’s hope that Bungie can continue to expand upon Destiny and turn it into something even bigger and better the original. https://www.youtube.com/watch?v=rQ4i0AT8c-M UPDATE: Activision and Bungie released a teaser for Destiny 2 with the official trailer on Thursday at 10am PST.